​Why We Love Living Here ... How About You? What happens when a Christmas decoration takes a trip. View the "Christmas Vacation" photo gallery and listen to the podcast! 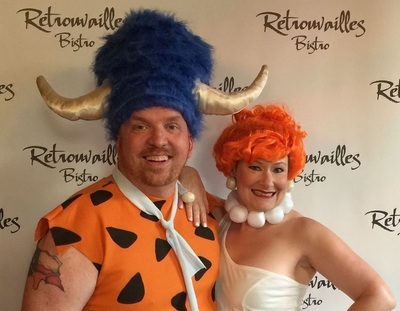 Meet Don and Shannon -- a "wild and crazy" couple from Texas (and two of the nicest people we know), who LOVE celebrating Halloween. Every year they come up with a cool, couple costume idea, and mark the occasion with a trip to the Big Easy -- New Orleans, the city of great food, fun times and more than a few ghost stories. ROAD TRIP! 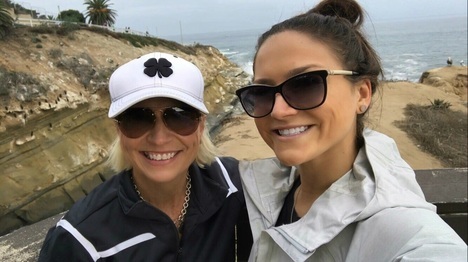 ​Introducing SoCal to SoFlo Trekkers, Scoobie and MJ. For the next couple of weeks, we hope to bring you glimpses into their cross-country adventure. 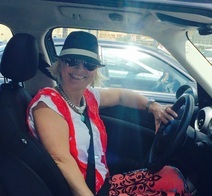 Buckle your seatbelt, grab some coffee and let's hit the road! MANATEE LAGOON. 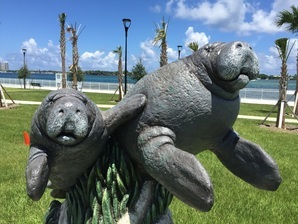 Located near Florida Power & Light Company’s (FPL) Riviera Beach Next Generation Clean Energy Center, Manatee Lagoon is both a seasonal sanctuary for the "gentle giants of the sea" and a learning center. Visitors are invited to "test their knowledge of science and nature, and learn how the production of electric energy allows manatees to survive chilly seasonal weather." SEA TURTLE WALK. It's Saturday night, and a group of us are gathered at the park's Nature Center and listening to Park Ranger Bill Wilson, who was instructing us on "sea turtle etiquette." We are here for the Sea Turtle Walk and Talk Program. 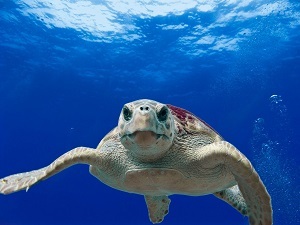 June and July are peak months when the Loggerhead turtles nest, and if the stars aligned, we might get to observe it up close and personal. MAJESTIC CRUISES. On the IntraCoastal waters sits the Majestic Princess, and it is waiting, just for us regular types. 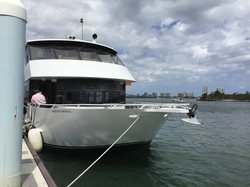 So, let's break it down: They offer lunch, brunch, twilight, nightlife, and family cruises. For around $5,000 (all-inclusive) you can even host a wedding or special occasion for 30 people. We opted for the lunch sightseeing two-hour (yes, we felt safe because it was a two, not a three-hour tour) cruise. 2016 PALM BEACH REGATTA. Admirers of vintage yachts and sailing enthusiasts of all ages came to the ​West Palm Beach waterfront on Saturday, Feb. 20 for the second annual Palm Beach Vintage Regatta, presented by Camelot Yacht Club and Moores Marine. 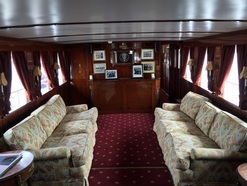 For the second year in a row, the star of the show was the Presidential yacht Honey Fitz, used by five Presidents, including John F. Kennedy, who renamed it "Honey Fitz." MANSION PARTY. 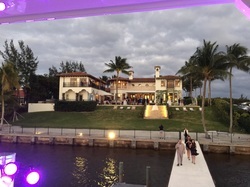 When you get an invite to an evening of champagne, hors d'oeuvres and music (with a yacht thrown in for good measure), held at a $19.5 million Manalapan mansion, you naturally accept. The invite came from Braman Motorcars, who partnered with the Fite Group to host the festivities at 1920 S. Ocean Blvd. PUBLIX KING CAKES. 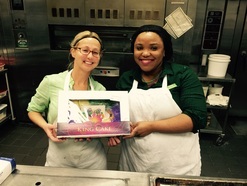 ​​ Nothing says Mardi Gras more than a traditional King Cake, available seasonally at selected Publix stores in the area. 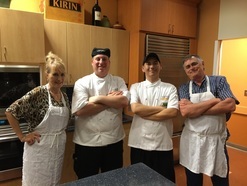 We talked with Nicole Krauss, Publix Marketing and Community Relations Manager for the Miami Division, about the cakes and visited a Publix to learn how they are made. 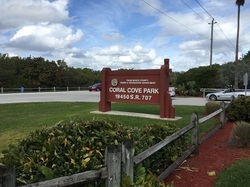 CORAL COVE PARK. 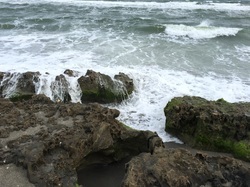 Coral Cove Park is located just south of the​ Blowing Rocks Preserve in Tequesta.You couldn't find a better spot to lay a towel on the sand and watch the aqua Atlantic waves crash on the rocks and shore. It also sports a children's play area and a guarded beach. Sun, sand, serenity. That's a good day in our books. THE ART OF DR. SEUSS. The Gardens Mall has “Ann Jackson Gallery Presents The Art of Dr. Seuss at The Gardens Mall" on display from Jan. 17 – Feb. 14, 2016. 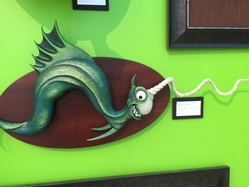 "The Art of Dr. Seuss" is the "exclusive, authorized collection of limited edition artworks adapted and reproduced from Theodor Seuss Geisel’s original drawings, paintings, and sculptures. This historic collection has traveled to museums and galleries across three continents since its inception in 1997." ARTIGRAS FINE ARTS FESTIVAL. February 13-15, 2016. ArtiGras Fine Arts Festival, celebrating its 31st anniversary in 2016, is the premier fine art festival of the Palm Beaches. Ranked as one of the top 50 art shows in the United States, ArtiGras showcases a unique juried exhibition of 300 fine artists from all over the country. The three-day event also features interactive art exhibits, live music, and demonstrations that provide an arts experience like no other in South Florida. BLOWING ROCKS PRESERVE. 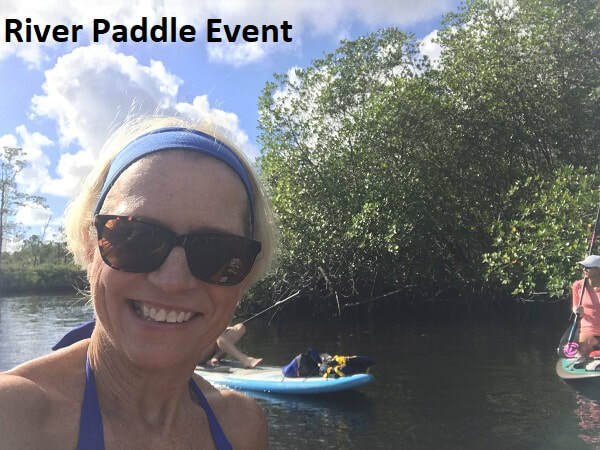 A nature sanctuary located in Hobe Sound, watch the saltwater plumes shooting through the limestone rocks and walk nature trails to see the restored Florida habitat. 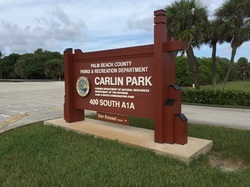 CARLIN PARK. Located just south of Indiantown Rd. in Jupiter off Highway A1A, white sands invite you to bring a beach chair and enjoy the view of the Atlantic Ocean. Grab something to eat at the famous Lazy Loggerhead Cafe or check out the coming events at the Seabreeze Amphitheater. THE COQUETTES. 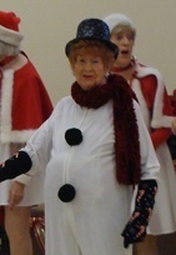 The Coquettes & Company is a senior dance group with ages ranging from 55 to 96 (yes, 96), and the ladies are currently in the midst of rehearsals for a number of holiday performances. ​KAYAKING. 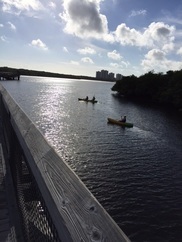 It's one of the most popular outdoor activities in Florida. But even so, there's always a first time to try anything. Here's one person's "first time" account at John D. MacArthur Beach State Park. NORTON MUSEUM OF ART. 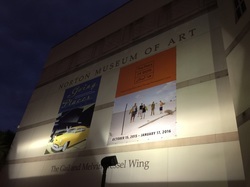 Founded in 1941, the Norton has become a world-class art museum housing a wide range of masterpieces and photography. Located in West Palm Beach, it offers free Saturday admission to Palm Beach County residents.